Z.R. Tool Inc. provides full in house services for all your needs, whether they are product based or service oriented. We respond to the specific packaging needs of a wide variety of industries. A fully experienced staff member is always on hand to answer or explain our services and products. 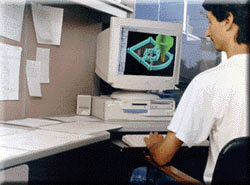 Our in-house designers and draftspeople utilize the latest in CAD/CAM software to provide full engineering from concept and design to final product. 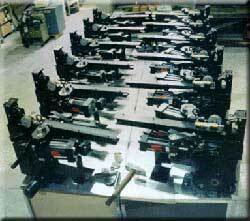 From the redesign of tools and sealing systems to the production of new and innovative strapping machinery, we can produce what you need. Consultants are on hand to discuss your particular needs. 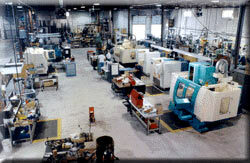 With a fully equipped state of the art manufacturing facility utilizing computerized CNC and conventional machinery, we are able to provide not only streamlined assembly operations, but custom precision work as well. All products are manufactured in house; each item we produce adheres to our rigid company standards and is manufactured by our skilled toolmakers and experienced staff. Assembly and final testing are done to Z.R. Tool's uncompromising standards utilizing the most experienced and skilled staff in the industry. Z.R. Tool has been involved in some of the most innovative projects in the industry worldwide. From redesign and rebuilding of existing heads, tools and machinery, seal-type to sealless conversions, to full special application machinery, we have done it all! For technical support with any of our products or services, contact us.